What happens if you default on your credit card? 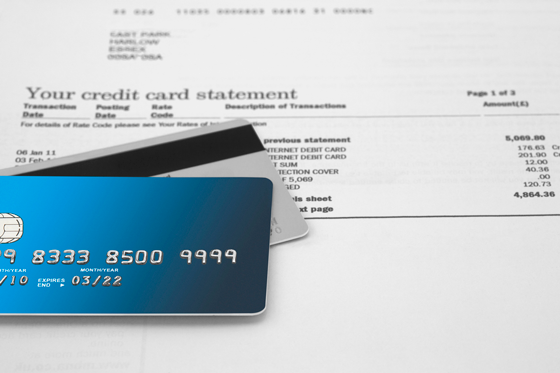 Falling behind on your credit card repayments? You should know the consequences that come with defaulting on your credit card. How do you default on your credit card? 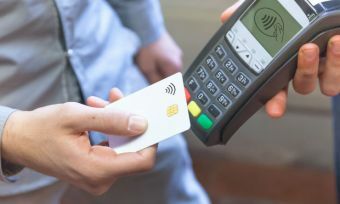 It is important to know the distinction between late payments and a credit card default, as the two are definitely not the same thing. Payments are considered “late” if they are more than 14 days past the due date, and can stay on your report for up to two years. When you make a late payment, your creditor will often charge you a late fee and your interest rate may increase, depending on the terms of your credit card agreement. Defaults on the other hand are more severe. You default on your credit card if you miss a payment or payments of more than $150 by more than 60 days and this can stay on your credit report for a total of five years! A serious credit infringement occurs when you owe a debt to a credit provider and have not responded to them or contacted them in six months or more. This can stay on your credit report for seven years, which can seriously affect your ability to take out a new credit card or loan in the future. If you make the owed payment, it will revert to a default. What happens when you default on your credit card? Before officially listing a missed payment as a default, your provider must prove that it is late by 60 days or more. They must then take a number of steps to inform you of your default, such as sending two separate written notices to your last known address requesting payment. Defaulting on your credit card can have some serious consequences. As stated above, a credit card default stays on your credit report for five years. Multiple late payments of credit card defaults can cause many lenders to give you a wide berth, shortening your pool of options and forcing you to go with a less than optimal choice. If you used your credit card to purchase a physical asset (such as a fridge or a car), your credit provider may send a debt collector to reclaim it in order to get their money back. A debt collector is someone contracted your creditor who reclaims debts they are owed. Being served papers by a debt collector can be a confronting and intimidating thing, so it’s important to know the rights of both parties and what to do in such a situation. If you’re contacted by a debt collector, it is important to cooperate with them while being firm about your financial situation. Responding quickly and politely to their calls will make a good impression and can make the process easier. You also must inform your credit provider if you change addresses; not doing so can be seen as an attempt to get out of a late payment. Debt collectors may attempt to contact you in a variety of ways, but some ways might be illegal. Below you can see the ways in which debt collectors can contact you and when they can do so. If you find yourself in danger of defaulting on your credit card, you can apply for a ‘hardship variation’ from your lender. These financial hardship variations change the terms of your loan or repayment schedule to what you can afford and once you apply your lender is obligated to look at changing things to what you can afford. Many lenders even have dedicated support services for financial hardship in order to get you back on track. Contact your lender and work with them (or a financial counsellor) to strategise how to pay off your debt before it comes to a default. Stop using the card if you’re in debt – if you don’t use it, you can’t acquire more debt. Pay more than the bare minimum – even $50 extra a month can make a huge difference. Focus on one card at a time instead of multiple and get rid of it when you pay it off! Preferably, pay off the card with the highest interest rate first. Set up a direct debit to pay a fixed amount off your credit card balance each payday. While it’s not the end of the world, defaulting on your credit card even once can have long-lasting consequences. 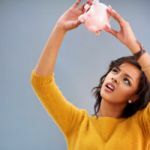 Hopefully you can use the knowledge gained in this article to stay on top of your credit card debt and avoid missing your repayments!